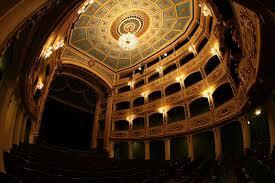 Venue: Teatru Manoel’s Studio Theatre. Teatru Astra will be partnering again with Teatru Manoel for the second edition of an opera workshop, titled, 'Behind the Opera Curtain', in which the directors and soloists from Teatru Astra’s forthcoming production of La Boheme will participate. The workshop, entrace to which is free of charge is aimed at opera lovers, singers and students, the workshop will be held at the Teatru Manoel’s Studio Theatre. Artistic Director, Enrico Stinchelli, the Musical Director, Joseph Vella and the lead singers of the forthcoming La Boheme will be participating in this workshop. The Artistic Director will talk about operatic stage production in general but with particular reference to the opera. The talk will be illustrated (and followed) by live illustrations from the singers who will sing arias mainly from La Boheme. The Musical Director will also briefly put all the details in context. The event is free but there is limited capacity so booking is essential. Booking can be made online at www.teatrumanoel.com.mt ,by email [email protected] or tel: 2124 6389.